“If you can drive a car, then you can learn driving.” Xinli Zhang, Manager of Sales and Marketing of Luzhou Aviation General passionately told BeijingKids. The one-of-few general aviation company in China recently launched their various aviation programs. 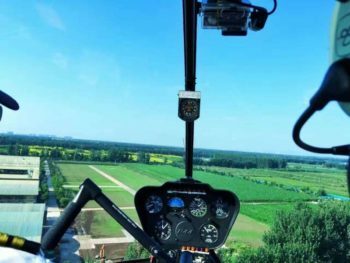 For those with a dream of flying a helicopter in China legally, this might be your time. As a Class A category general aviation company approved by the Civil Aviation Administration of China, Luzhou Aviation was established in April 2015. Situated in Tongzhou District’s Luzhou area, the company runs a pilot school, aviation club and an airport, aiming at becoming China’s first class general aviation industrial area. Currently, three programs are ready for kicking off. 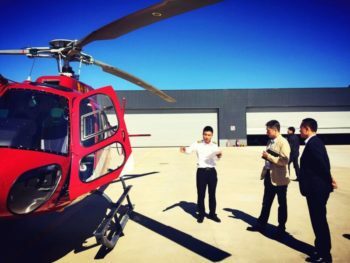 If you would like to become a pilot, the Pilot Bud Program can equip you with 50 lessons of aviation theory and 40 hours of practical operation on the helicopter. All coaches were trained in the US. To attend the training course, you need to be above 17 years old, and are able to understand and speak Chinese fluently. Within a minimum of 3 months, you can expect to get a private helicopter pilot license. If you are completely new to flying on a helicopter and your children would love a ride, the Air Tour program could be the right experiment to start with. This is a trial exercise for driving and riding for 15 minutes at the cost of 1680rmb/person and up. Of course, a professional pilot will steer the wheel for you. 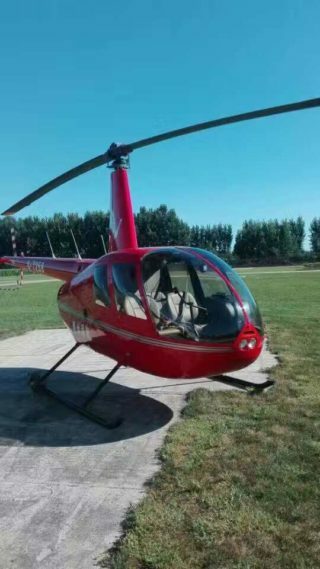 Both programs use the classic R22 and R44 Robinson Helicopter from the US, reportedly the most popular light helicopter in the world, especially for training. On a more relaxed basis, the Aviation Science Program is an aviation-themed industrial park featuring films, museum, plane models, and flying interaction activities. This could be a new venue of education and recreation for schools and groups. Enquiries or more information can be found at www.lztyhk.com or phone 180 1021 2505 (Chinese and English). Photos provided by Luzhou Aviation General.